Caring more when you need us the most. Obituaries » Alan B. Binegar, Sr. There will be a gathering of family and friends at the Amos Carvelli Funeral Home, 201 Edison Street, Nutter Fort, on Sunday from 4:00 p.m. to 8:00 p.m. There will be a Rosary Service at 7:30 p.m. to conclude the visitation. A Mass of Christian Burial will be celebrated on Monday, April 1, 2019, at 10:00 a.m. at the Immaculate Conception Catholic Church, 126 East Pike Street, Clarksburg, with Reverend Father Casey Mahone as celebrant. There will be a private inurnment in Volga, WV. 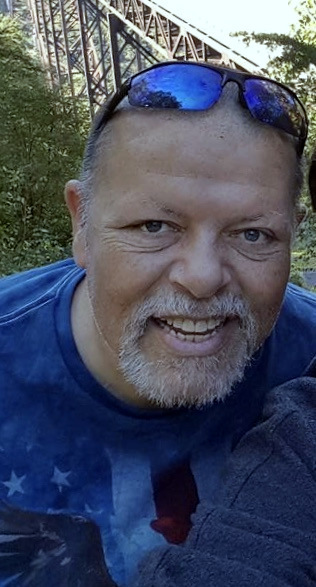 Alan B. Binegar Sr., age 57, of Clarksburg, passed peacefully, on Saturday, March 23, 2019, at Ruby Memorial Hospital with his family by his side. He was born April 28, 1961, in Clarksburg, the youngest child of the late Maynard Davis and Nellie Mae Binegar. Upon graduating from Bridgeport High School, class of 1979, Alan enlisted in the US Navy, and served on the aircraft carrier, USS Dwight D Eisenhower, during the Iranian Crisis and the bombing of the Marine Barracks in Lebanon in 1983. He had an honorary discharge as an E-4 Ship’s Serviceman. He graduated from Salem College in 1989 with an associate’s degree in Business Management. He utilized his degree working in management in several different restaurants before employment at the VA Hospital. He retired in 2012 from the VA.
Alan married Mary Bulka on November 20, 1982, who survives. He is also survived by three sons, Alan “Blair” Binegar Jr. and wife, Kayla of Beverly, OH; Joshua P. Binegar, and wife, Heidi, of Bridgeport, WV; and Jeremiah G. Binegar, of Clarksburg; and five grandchildren, who were the apple of his eye, Bailee, Emma, and Hudson of Beverly, OH; and Alayna and Brecken of Bridgeport, WV. Also surviving are one brother-in-law, Jack D. Metheny, Bridgeport, and numerous nieces and nephews, including a very special niece, Heather Swiger, his mother-in-law, Shirley R. Bulka of Clarksburg; five brothers-in-law, Stanley Bulka and wife Sue, Volga, WV; Paul Bulka, and wife, Shirlene, Volga, WV; Dan Bulka, and wife Joanne, Leesburg, VA; Michael Bulka, Clarksburg; and John Bulka, and wife, Tina, Bridgeport. Aside from his parents, he was preceded in death by seven siblings, Gaynell Metheny, Carol Binegar, Malinda Binegar, Freddy Binegar, Barbara Binegar, Maynard “Butch” Binegar, and Jeff Binegar, as well as his father-in-law, Stanley Bulka. Alan instilled the love of music to his children, using it as a bond in their relationships. He also enjoyed the outdoors and had a knack for growing a beautiful flower garden, cooking, and spending time with his family. His faith was an important part of his life. He was a member of Immaculate Conception Parish, and a 3rd Degree member of the Knights of Columbus, Council 16494. In lieu of flowers, donations can be made to Disabled Veterans of America and the American Kidney Foundation. Per his request, Alan will be cremated. Expressions of sympathy may be extended to the family at www.amoscarvelli.com A service of Amos Carvelli Funeral Home.